« Luxury Vancouver West Side Homes for Sale at ARBUTUS RIDGE by Cressey > Spectacular Westside Vancouver Apartments Now 50% Sold Out! An outstanding new Burke Mountain single family Coquitlam home project is now launching! Brought to you by Morningstar Homes, the new PARTINGTON Coquitlam Burke Mountain homes features luxurious living in an idyllic mountainside setting. Morningstar is offering spacious and very impressive 4 bedroom single detached homes for sale that range in size between 3,700 to 3,900 square feet, perfect for any sized family. In addition, the new Coquitlam PARTINGTON homes will each feature 4 large bedrooms in addition to 2 full bathrooms and a powder room with luxurious comfort in focus. Setting high standards for the Burke Mountain real estate market, the presale Coquitlam PARTINGTON Homes by Morningstar will also feature outstanding and very unique 19 foot cathedral height vaulted living room ceilings in addition to beautiful floor to ceiling windows that provide expansive views across the mountains and beautiful green spaces. Also, another unique feature is the linear floor to ceiling fireplace. The PARTINGTON Coquitlam Burke Mountain homes’ luxurious collection of single family detached living gives you plenty of options to live the way you want to right now. From a variety of floor plans to finished or unfinished basements and from other custom contemporary options and features, Morningstar Homes is giving you plenty of customizable options to make your new home a dream house. As you may know already, Morningstar Homes is one of the leading builders of single family homes in the Lower Mainland. A single family PARTINGTON Coquitlam Burke Mountain home will offer home buyers peace of mind knowing that all homes are built with care by one of the province’s most well established and highly respected homebuilders. And watch out for the PARTINGTON Grand Opening on July 6th at 12 noon. This is your chance to preview and purchase a new Burke Mountain home by Morningstar. You can check online at www.mstarhomes.com for more details about PARTINGTON Coquitlam. Single family Coquitlam homes on Burke Mountain are now selling! The official grand opening is on right now at the Morningstar Partington Homes that feature an impressive 4 beds and 2.5 bathrooms. The layouts are superbly designed for families and range from 3700 to 3900 square feet. The contemporary interiors will feature fabulous kitchens that will have oversized central granite islands giving you lots of counter top space and storage. In addition, the Partington Coquitlam homes will have oversized windows throughout giving you lots of natural light. Other interior features include quality hardwood floors in main living areas in addition to Kohler plumbing fixtures and stunning glass railings that Morningstar has so meticulously designed and picked out for your new house. The new Coquitlam Partington Homes on Burke Mountain will also have large private outdoor yards with patios or decks, giving you lots of space to entertain, play and relax. As with any Morningstar Home Partington Burke Mountain will give you the best of single family detached living coupled with high-end interior detailing and finishes. All homes are protected by the new home warranty insurance program as well. As mentioned, the Partington Coquitlam homes for sale are located in Burke Mountain, a new and prestigious neighbourhood that is within a short drive to Coquitlam Town Centre, the future Evergreen SkyTrain Line as well as many top ranked schools, beautiful parks and trails. 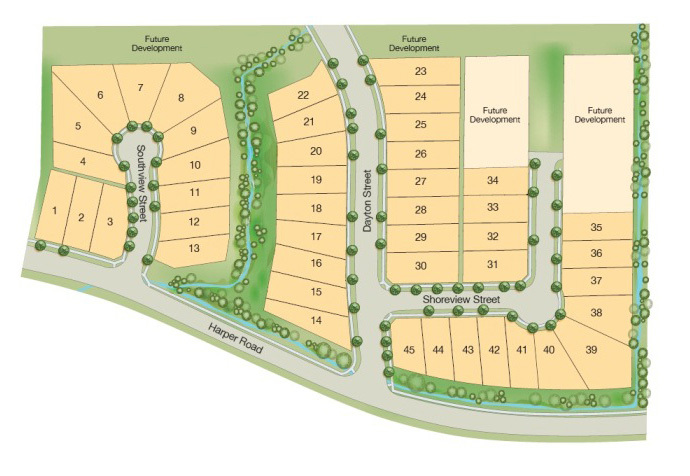 Situated along Harper Road, there are a total of 45 homes available in this new development. The home store is located on the 2nd floor at 946 Brunette Avenue Coquitlam BC. The Partington home plans include the CYPRESS Layout which is 3,782 square feet including an unfinished basement. There are 4 bedrooms and 2.5 bathrooms and the main floor of this particular layout is 1,320 sqft. The upper level is 1,150 square feet while the basement is 1,312 square feet in size. The BALSAM Partington Coquitlam home plan is a spacious 3,818 square feet with unfinished basement. Again, the unfinished basement is 1,296 sqft with a main floor square footage at 1,307 sqft. The upper floor is 1,215 square feet. Last but not least is the CEDAR Coquitlam Partington home plan which is the largest at 3828 square feet. The unfinished basement totals 1,312 square footage while the main floor is 1,328 square feet. The upper floor is 1,188 sqft. Please note that these are draft layouts and are subject to change at any time. Please see a Partington sales representative for more details about availability, sizes and starting prices.